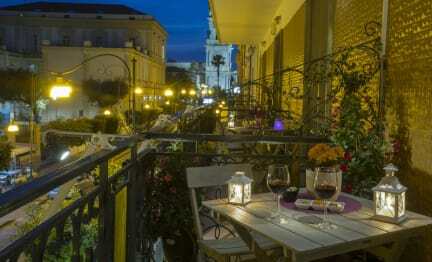 Eco B&B is located in the heart of Pompeii city historical centre. The flat, newly renovated, consists of a living room-entrance and of three nice and functional rooms. All rooms are air-conditioned and they have heating system, private bathroom with shower and hairdryer. The whole structure is wi-fi provided. Thanks to the independent entrance and to the delivery of the keys, our guests are free to go in and out whenever they want, trying not to bother the other. 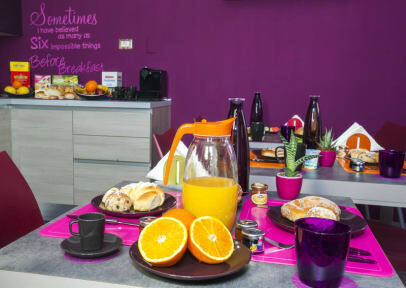 A sweet italian breakfast with croissants, hot beverages, homemade cakes, hot bread, yougurts, thea, coffè (and whatever you want) can be enjoyed in a table in the hall or in the room. This B&B experience was sooo great! First of all it was very clean and modern. Second, the staff was so nice and friendly. Our flight was delayed and they were very accommodating with the check-in. Location is perfect, even our taxi driver said so. You can walk to the ruins in 5 minutes. It was a continental breakfast, but better than going out on an empty stomach. Overall, I completely recommend . You won’t be disappointed. My husband and I stayed in Pompeii for 2 nights. B&B eco was perfect for us. Central location, clean and tidy, comfy bed and near the ruins. Our breakfast was included and it was tasty! Only small request would be to have a full length mirror in our room. Only mirror available was a small one in the bathroom. I just want to say thank you to Alessandro for waiting for us to check in (we arrived after they end check in) we greatly appreciate it! Staff were absolutely lovely! Pompeii is a great place to visit and it was even better having such a comfortable place to stay. We had a large double bed and ensuite. The free breakfast could be improved but was filling.